Relationships surround us every minute of every day. We have relationships with our spouse, our kids, our friends, our community, and even ourselves. Even though these relationships can all be very different, every single one of them is made up of the same three components: what the other person thinks of you, what you think of the other person, and what you think of yourself. On this episode of the podcast, I’m walking through these three components to explain why every relationship we have exists entirely in our own mind. This is great news: it means that we are 100% in control of our relationships with other people. And that means we can choose to have compassion, curiosity, and love for other people, rather than worrying about whether or not they really like or approve of us. Together we’ll explore what it looks like to love people even when they criticize or doubt us, how Christ embodied this approach to relationships, and why your relationship with yourself is a key component of any relationship you may have. The three components that comprise every single relationship. Why every relationship actually exists inside your own mind. How to practice compassion and curiosity in relationships where the other person may not like or approve of you. Why the idea that everyone must like you for you to feel good about yourself is completely misguided. How your relationship with yourself affects all of your relationships (and every other area of your life, too). I’m Jody Moore and this is Better Than Happy, episode 192, Three Components of a Relationship. Hey everybody, welcome to episode 192. We’re going to talk about the three components of a relationship. This is an idea that I wanted to share with you after teaching a class to some of the young women in our stake last week. I thought, hmm, that’s kind of an interesting way to present it. I think I’m going to share that on the podcast. Before we do, I want to make sure that you’re registered to join me for a webinar this week because they’re all free and they’re going to be really, really good and I have a whole bunch of them. I’m going to have a busy, awesome, exciting week teaching some free classes. I’m going to teach you about emotional eating, why we do it, how to stop doing it if it’s sabotaging your weight loss goals or your health goals. There is a simple solution and I’m going to teach you on that class. I’m going to teach you what to do when your child is struggling. Why do our children have to struggle? I wish they didn’t, but it is a part of their life experience. 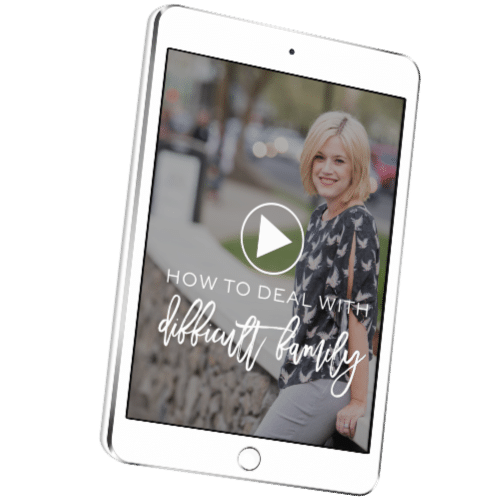 We know they’re supposed to, but I want to equip you to be confident that you’re handling it the right way and that you’re finding the right resources and solutions and just to have peace around it. I also am going to be talking about success secrets from mompreneurs. That’s another webinar I’m going to teach. I have four children of my own. My youngest is three, my oldest is 12. They’re in the thick of school and activities and two of them are still at home. I run a successful business from my home office, working only three days a week. You know why? I’m going to teach you on this webinar. Why I’m able to get all of that done, why I don’t have to sacrifice being a good mother or being a successful business owner. And I’m not even very often stressed or overwhelmed. Sometimes I do get that way but mostly not. So come to that if you are a mompreneur. And then we’re going to have a live coaching call. I’ve never done a free live public coaching call before. I usually save those for people in Be Bold, so those of you in Be Bold here coaching every week. We do lots of coaching. But I thought, let’s just do one for the public. Let’s see how that goes. So if you’ve never been coached, you can come and volunteer to get coached, or you can just come and listen if you don’t want to get coached, but I’m telling you, this will explode your mind. 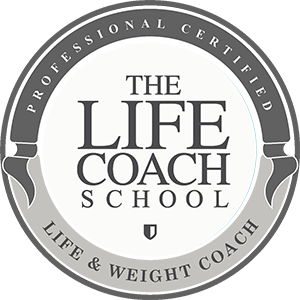 If you only have time to get to one next week, come to the live coaching call. You won’t be sorry. And then I have an Ask Jody Anything call. That’s a call that I do usually monthly where you can just come and post a question and I teach you a little bit about the self-coaching model. So there’s tons of things happening this week, you guys. Don’t try to come to all of them. You don’t need to. You’ll be totally sick of me. But sign up for whichever ones you want. We will have replays go out that will be available for a limited time, so that’s what we’re going to do. Don’t miss it. We’ll put all the links here in the show notes. Okay, we’re going to talk about the three components of a relationship. I should say I’m going to talk about it today. I always say we because I picture myself sitting down, having a conversation with you. I pretend you’re right here with me, but obviously it’s going to be me talking and you listening. But I wanted to teach you about the three components of a relationship. Now, this applies to any relationship. This applies to your relationship with your sister, or your sister-in-law. It applies to your relationship with the sister-in-law that you love and the one that’s kind of difficult. It applies to your relationship with your spouse, with your children, with your boss, with that lady in the grocery store that’s checking you out so you can pay for your groceries. This applies in any interaction with any human being. So I want you to keep it as a tool. Maybe you have a relationship that you’re struggling with right now that you want to apply it to or maybe not, but you want to keep it for future use. The three parts or three components of a relationship are, number one, what the other person thinks of you. Number two, what you think of that other person, and number three, what you think of you. Now, notice that every single one of these components exists in your mind. Let’s take number one for example. What the other person thinks of you. Now, the truth is we could break that down into two parts because there’s what the other person thinks of you and then there’s what you think the other person thinks of you. So the part that I want you to think about that I’m going to say is the component of your relationship right now is just the second one. It’s what you think they think of you. Because how do we know what they really think of you? We don’t, unless you know how to read minds. Because even if they tell us, “I think you are amazing,” we don’t know if that’s really true. We don’t know if they’re just saying that, we don’t know how often they feel that way, if sometimes they feel differently. So what they think of us changes. It’s not even a constant. It’s not always the same. So I want to make sure that with number one, what they think of you, the only part that’s relevant is what you think they think of you. We’ll come back to that in just a minute. Let’s talk about the second component of a relationship. The second component is what you think of them. Now again, this exists in your mind and this is something that changes. Maybe at times you think really positive thoughts and at times you have more judgment or different thoughts about them. The third component of a relationship is what you think of you. Specifically, what you think of you in relation to this other person. But it’s probably not going to vary a whole lot if you tend to be confident, maybe there are some people that you’re less confident around that you’re more intimidated by or something, but overall, the way you think about you tends to be something that you take into most situations. So those are the three components. Now, I want you to think about for just a minute that if this is true, if the three components of your relationship with someone else are just what you think they think of you, what you think of them, and what you think of you, then that means that your relationship with that other person only exists in your mind. That’s it. It doesn’t even exist in their mind and it doesn’t exist outside of you in a tangible way. This is why when I coach people and they say, “Well, I really want to work on this relationship but my mother doesn’t, or she doesn’t think there’s a problem, she doesn’t see how she’s part of the problem so how are we ever going to fix this?” because they’re believing that the relationship consists of what they think and do and what the mother thinks and does. But that’s not what makes up a relationship. Your relationship is only the thoughts that you think. Not the thoughts that they think or even their actions or behavior. None of that can affect you until you allow it to impact one of these three components. That is what makes up your relationship with someone else. If this is true, it means you have 100% control over your relationship with another person. Now, let me give you an example. It’s possible – think about a friend. I have some friends that I used to be in touch with, I used to talk to all the time, and then as we’ve grown up and had more children and moved away from one another and our lives have gotten busier, we don’t talk as frequently as we used to. So I have stories in my head like, we are close friends. We just have busy lives, we don’t get to talk very often, but if and when we do see each other, we’re going to be right back where we left off and loving on each other and nothing has changed. My relationship with them hasn’t changed in my mind, even though I don’t talk to them or see them very often. Now, are they thinking that about me? I don’t really know. Maybe. Maybe they feel the same way. Maybe they think, “Jody and I used to be close but we’re not that close anymore.” I have no idea what they’re thinking. So if the relationship were about them, I would need to know that. I don’t need to know that. The relationship is about my thoughts in my head. And the way they define our relationship may be different than the way I define it. Who knows? So let’s talk about of these three components, where our brains tend to want to spend the most time and where is the most useful place to spend our time. So if we have what they think of us, what we think of them, and what we think of us, where do we spend the most time focusing? Well, hopefully you know that of course, it’s on number one. Where our brains tend to go, tend to worry, tend to try to control or manipulate is what the other person thinks of us. Do you ever have this thought that if everyone just liked you, then you would be so confident and you would be so happy and life would be so much easier? Anybody ever think that? Do you ever notice that if and when people disapprove of you, we tend to want to avoid them or we get defensive or we want to judge them and we disapprove of them for disapproving of us? Our brains are really, really good at focusing on number one. How do I get people to like me? That is what feels like the safest space for our brains. That also happens to be the hardest place to control because while most people probably will like you, if somebody doesn’t or they have a judgment of you for some reason, you trying to manipulate that or change that or control that just turns you into a weird, creepy version of you and often doesn’t even work in the end. Or maybe you get that person to like you but now all the other people don’t like you because you’re not being the same person that you were. So this idea that we need to try to get everyone to like us is very misguided. I love the idea that I’m not for everyone and it’s okay. Some people aren’t going to like me. Some people are going to judge me. Some people are going to disapprove of my methods and my ways and it’s all fine. I’m not for everyone. I also love the thought that what other people think of me is none of my business because while we tend to spend most of our time focused on number one, the only place that really matters that I want you to spend all your time in is number two and number three. What you think of them and what you think of you. Now, number two is a really powerful place to play. I love to play in this one. I love to play with can I like people or at least be compassionate and understanding and patient and loving of people who dislike me or are judging me or disapprove of me? It’s not natural. It’s not the way you’re your brain will want to go automatically. It will want to go to defensive or trying to manipulate and control or people-pleasing because of number one. But it’s so, so freeing to recognize that you don’t have to change their opinions in order to feel better because if you love them and you love you, you’re going to feel just as amazing as you’re trying to feel. Them loving you doesn’t affect you. Them hating you doesn’t affect you. You hating them or you hating you is the only thing that affects you. You with me? So people say to me sometimes, “Okay, that sounds good in theory but what does it look like?” Well, it looks like the way Christ lived his life, first of all. Like, how many people rejected him, disapproved of him, told him that he was wrong or that he was lying and he didn’t get defensive, he didn’t try to talk people into it, he didn’t move into people-pleasing and manipulation. He just loved them. He also didn’t agree with them. He also didn’t back down and become a different version of him to try to please them. He just stayed true to who he was and he chose to love them. So that’s ultimately what it looks like. In our day-to-day lives, what does it look like when someone disapproves of us? Does it look like criticism from your mother-in-law, like, “You know, you really should have breastfed that baby longer. Breastfeeding is the best way, I don’t know why you went to formula, I don’t know why you just gave up on it.” Let’s imagine something critical like that from your mother-in-law. What would it look like for you to just love her? “Man, I love you. You’re probably right about that. Just didn’t work out that way.” I like to agree with them in a certain way if I do agree. When people send me emails saying you shouldn’t have said that thing in your podcast, and I often just delete them and don’t reply to them but in my head I’m like, she could be right. She might be right about that. He could be right about that. And I’ll either say, “I love you, thanks for your message, I disagree, or, “I love you, thanks for your message, you could be right.” So that’s where I try to keep my head in the space of I just love them and it’s okay, I’m not for everyone. I’m not recording the podcast for them if they really don’t like it and they disagree with my thoughts, they should definitely not listen. There’s a lot of podcasts out there. I’m recording it for the people who are my people, who like what I’m saying, who agree with my thoughts, who it’s helpful for. If it’s not helpful and if even a part of what I’m saying isn’t helpful, just delete it. Could I be wrong? For sure. These are my thoughts, and you get to have your thoughts. So you can still love people and disagree with them or you can love people and even agree with them and just allow them to criticize you. I’m telling you, that’s the ultimate in freedom. But what do you want to think of them? As soon as we start judging them like they shouldn’t be saying that, who do they think they are, they don’t know what they’re talking about, how rude, don’t they know you don’t say things like that to people, this is where my brain wants to go. Like, how much free time do people have to sit around and write messages to people about what they disagree with? I feel like that would take up my whole day if I did that. I just don’t have the time for it. So I’m wanting to judge them in a way for how they’re utilizing their time. But that’s never going to feel good to me to judge people. It’s always going to feel best to me to stay in love and compassion and curiosity. I also love what Pema Chodron teaches, which is can you just find the connection between them and you? Like oh, they have an opinion about this topic, just like me. Oh, they think that they’re right about this, just like me. They want to share their opinions and speak up for what they believe and try to influence people for good, just like me. They think that their opinion and their way is the best way to influence people for good, just like me. So when I can see how they’re just like me, then it helps me get to compassion. If your mother-in-law is critical of you, she has opinions about how to raise children, just like me. So the just like me thing always helps me get into a more compassionate, more connected place with that person, which allows me to love them and allow them to disapprove of me. And then number three of course, what you think of you is so important not just in your relationships but in any area of your life. One of the things we’re doing in Be Bold because we’re focused on relationship this month is I gave them a question to ask themselves like, if I were 100% confident, if I understood my value and my worth and I never questioned it and I loved me unconditionally, would this be a problem? Would this person criticizing me be a problem? No. I would think like, it’s okay, you can disagree with me but I disagree with you, I think you’re wrong. And you totally can be, and I don’t need to convince you otherwise. So we want the other people in our lives to come along and approve of us and do it for us. It feels like that would be easier but I’m telling you, even that’s not necessarily the case. When other people tell you that you’re great, you give yourself permission sometimes to believe that it’s true. But I want you to know that you don’t need anyone’s permission. And sometimes they will tell you that and sometimes they won’t. Either way it doesn’t change you. You’re great no matter what. So when you find that you’re struggling in a relationship, ask yourself. Instead of asking yourself how do I change number one? How do I get them to behave differently? How do I get them to love me more or better or differently? Instead, I want you to focus on numbers two and three. How do I love them more exactly as they are? Not this other version of them that I think they could become that I think is their potential. But how do I love them exactly as they are? How do I have compassion for them? How do I be at least fascinated by them? And how do I love me more? How can I love me better? How can I really recognize and own my own value and worth? I’m telling you, if you do that, your relationships will always be healthy. Numbers two and three are the only things you have complete control over. Choose them. Focus on them. Let go of trying to change what others think of you and watch what changes. Thanks so much for joining me today you guys. Have a beautiful, amazing rest of your week. I’ll see some of you on the webinars this week and otherwise, I’ll be back with another podcast next week. I’ll see you then. Bye-bye. If you have a question about something you’ve heard me talk about on this podcast or anything else going on in your life, I want to invite you to a free public call, Ask Jody Anything. 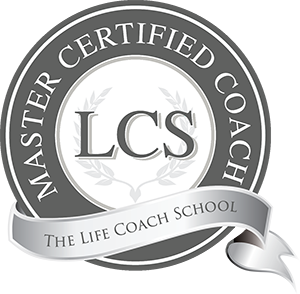 I will teach you the main coaching tool I use with all of my clients and the way to solve any problem in your life, and we will plug-in real-life examples. This so wonderful. Thank you! I shared it with my daughters and best friends! It’s so lovely. Staying in the loving is our greatest gift we can give one another. Such a great podcast and so helpful! You should do an episode on liking yourself and the related problem of being critical of yourself and others! Thanks for all your great work.